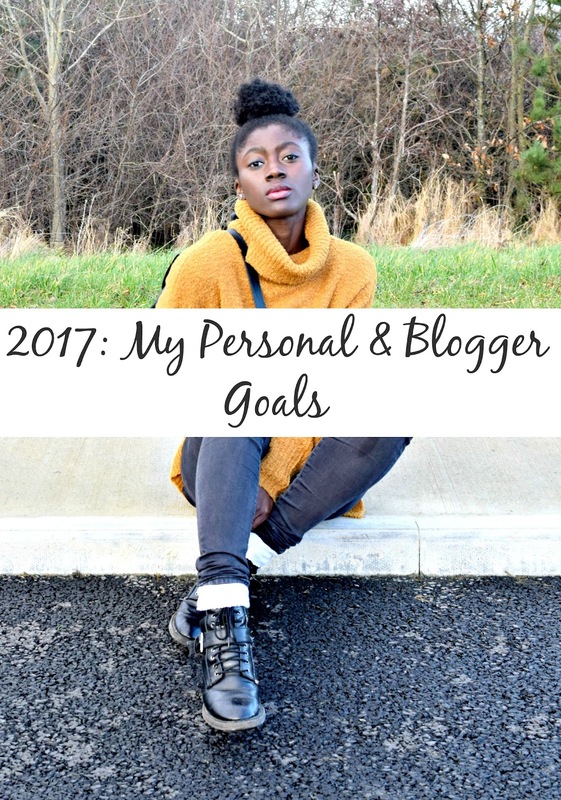 2017: My Personal and Blogger Goals | Albatroz & Co. In my previous post I touched on setting goals for 2017 and although I haven't set goals for the whole of 2017 ( because my goals are liable to change and progress) I have a few that I want to share with you guys. If you have any goals I should be adding to my list, let me know below in the comments. Got a few side projects that I'm working on in the back ground and I am pretty excited to share them all with you guys..in due time. I get described as outgoing a lot ad I can be, when I know the people around me I either tend to come out of my shell too much to compensate for my unease or that unease consumes and overshadows the whole thing for me. As it happens 2016 took all my f*cks and now I have none left to give to anything. Worrying, over-thinking, over-analysing have taken chunks of happiness from me over the years, as with everyone else, but I'm done giving any more f*cks to anyone or for anything. Call me selfish but guess what, idgaf. I really want to use this year out of college to pick up new skills and face new challenges to push my own boundaries. I have projects lined up that you will all find out about in due course so don't you worry. 2017 is going to be all about me. It may sound selfish but why is that such a bad thing? I will care no less fro my loved ones, I'm merely going to focus more on myself and my own personal growth and development. If that's just a bad thing then so be it. Somewhere last year I made the decision to post twice a week and it's worked pretty well so far except wees where I have been a little more overwhelmed in my personal life wit work, school, etc. This year I am going to aim to stick with the twice a week, every Sunday Morning and Wednesday Evenings. In order to be able to go through with my plan to be more consistent I need to stay on top of my game and that means I have to start planning better and planning ahead. I'm hoping to avoid a juxtaposition of life and blogging not running in line as much as possible. So 2017 is the year of Albatroz & Co's first newsletter campaign! I am excited. I've got big plans for the Newsletter. I touched on the topic towards the end of last year but I didn't explain too well. The idea of the Newsletter is to bridge that time span between published posts and my actual life. There are activities and things I do behind the blog that don't always make it on the blog but are pretty fun and I'd like to share. In the Newsletter will be snapshots of my week ( 3-5) pictures that give a little bit of what goes on behind the blog. You may be asking 'how narcissistic and self-centred do you have o be to send out Newsletters about your life' but that's the only thing that involves me. Aside from trying to keep things real with you all, there will be weekly finds for both readers and fellow bloggers such as interesting articles, books, blogger tips and tricks, recipes and much more. 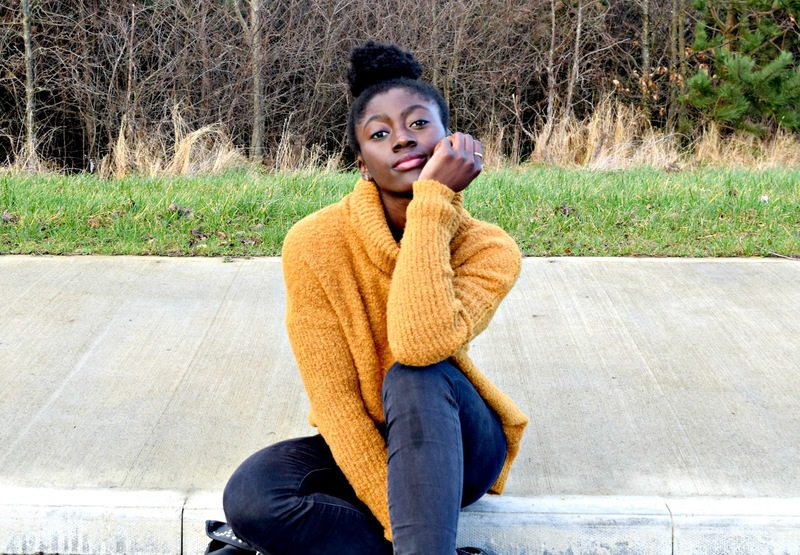 You'll also be first to know about competitions, giveaways,travel announcements and any blog developments and projects, so what are you waiting for? *Update* January 24th 2016* It's official, this goal is alive and I would love you to join me on this 2017 journey. Click here to get in the know with the life behind the blog and become a part of the inner circle. Thank you to those of you who have already signed up to the Newsletter, I hope you are as excited for it's release as I am. If you have not already signed up to my Newsletter, head over to the sidebar and sign up right now to be in the know and up to date! Taking the year off college my plan for the year is to dive into all things creative and learn new skills and pick up new hobbies. I have photography projects, writing projects and business ideas that I plan on building throughout this year. I am telling you this because a part of me wants to share it with you all and another part wants to make sure people know so I can't back out. Well I can but I am less likely to now. All in all 2017 better watch out because I've got big plans and I'm not a lady to mess about with. Have you got any big plan for this year? Share it below in the comments. 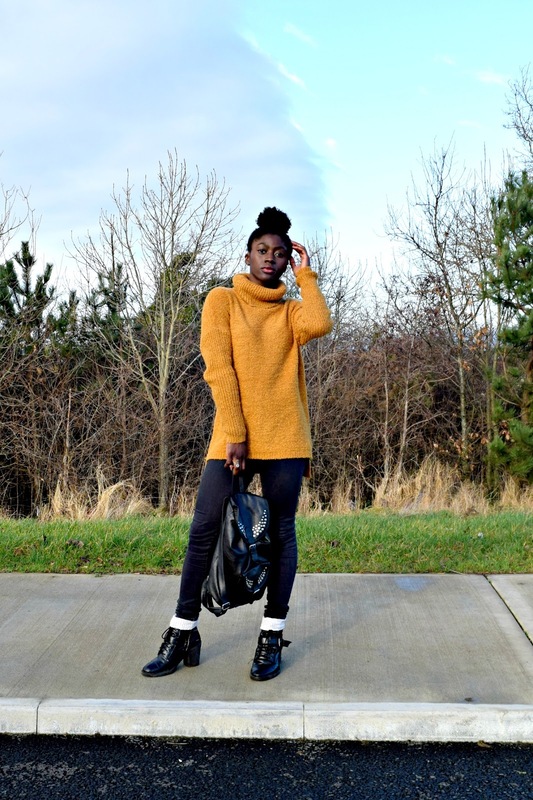 I love mustard jumpers <3 lovely casual outfit! Thank you!! I love the colour too. I'm so glad to hear someone else say that they're focusing on themselves this year. I especially love the part where you mention the useless things because I get so hung up on those most all the time. It's tiring and pointless at the end of the day. I wish you all the best of luck with this year too and that you come away having a better sense of self and self-love!! Power to us! Great post, Im with you on so many of these goals! Good luck with them :) also love the outfit pics! Love your outfit. 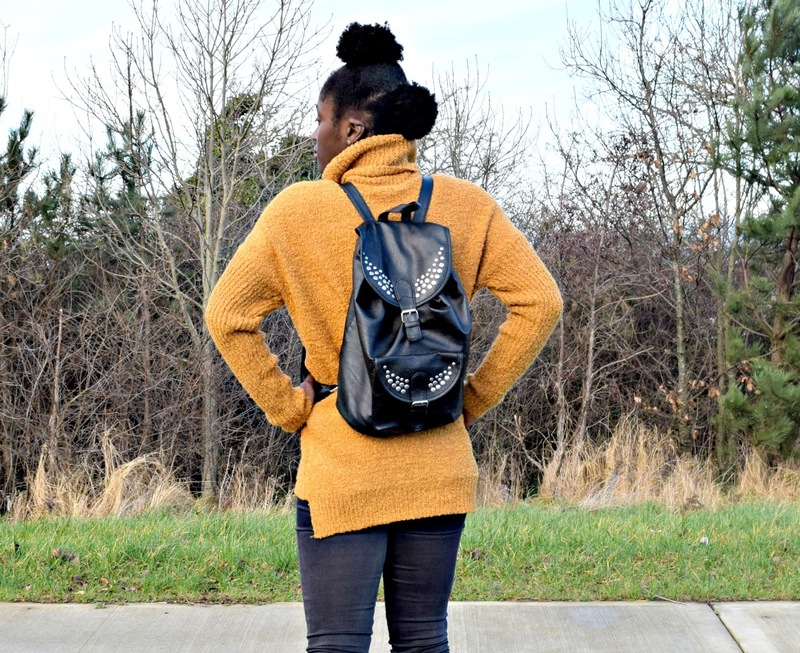 The bag and boots are especially great. Love your blogging goals for 2017. Have a great year! Thank you! The boots are my faves!! Best of luck to you too. I looove that jumper! 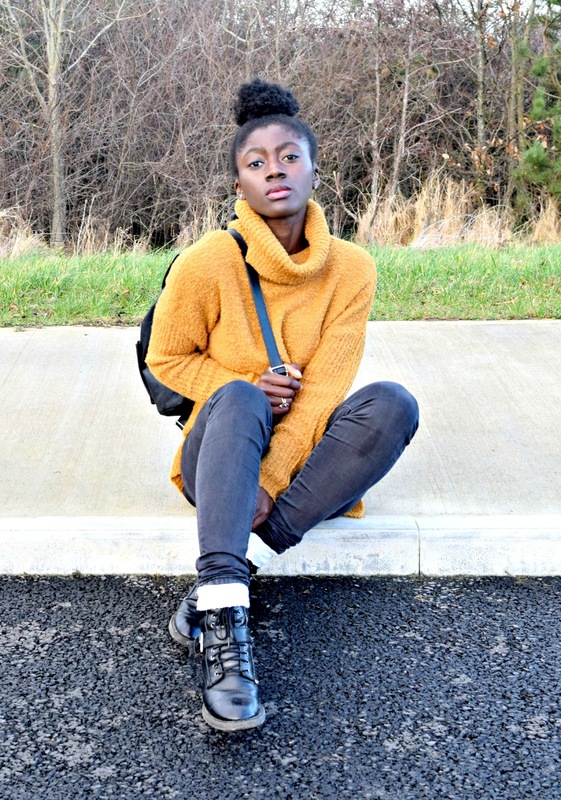 Mustard jumpers are the best 😍 Good luck with all your goals & I dont find you thinking about yourself more as being egotistical at all! I love it too. Honestly one of my fave colours and thank you. I'm always a little self conscious about my self-love goals but I'm going to embrace them this year. After reading this blog it seems like you are very active in your life.Everyone must be like you in terms of lifestyle.Personal development skills are very important now-a-days.